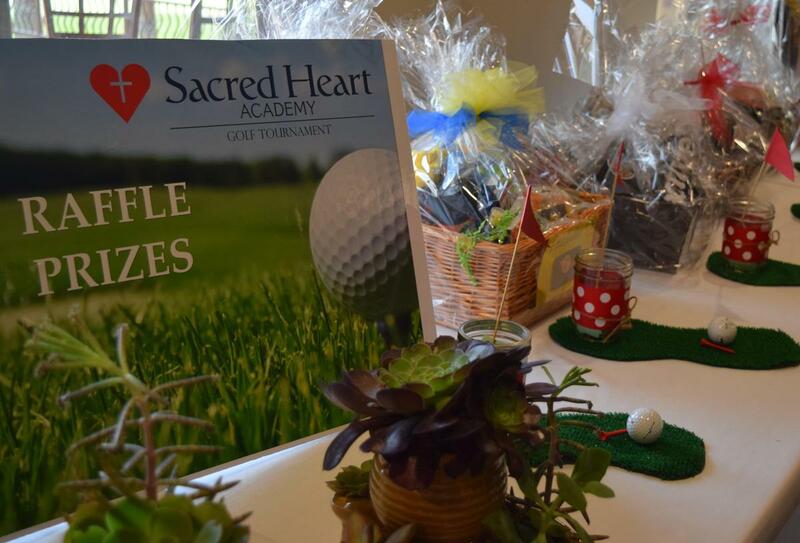 Since 1991, Sacred Heart Academy has held a golf tournament as a major fundraiser, and we invite you to take part in this event. 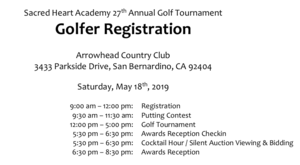 This year, the tournament is at the Arrowhead Country Club, 3433 Parkside Drive, San Bernardino, CA 92404, on Saturday, May 18, 2019. 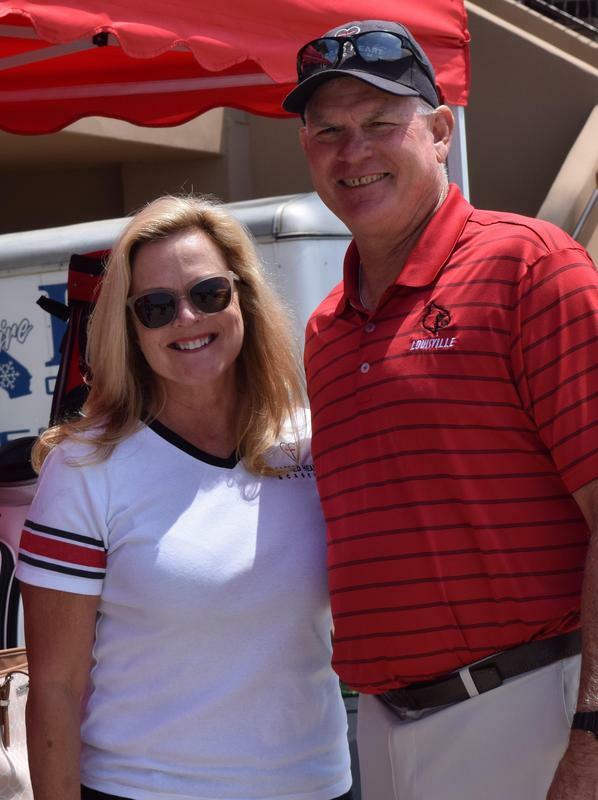 The SHA Golf Tournament raises funds for the general operation, long-term health, tuition support and sports programs at our small private school. This year, anyone can participate by sponsoring a grade. The grade which raises the most sponsorship dollars wins a cash prize to spend on that classroom. Funds from previous years' tournaments allowed us to build a track and start a 100 Mile Club, in which many students walk, jog or run on the track each morning before class for exercise. 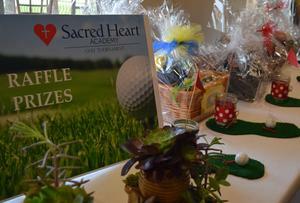 Sacred Heart Academy has been serving the children of Redlands, California and the surrounding communities since 1897. It is a Catholic school where staff, parents and parishioners strive to allow students to develop academically, emotionally, socially, spiritually, and physically. 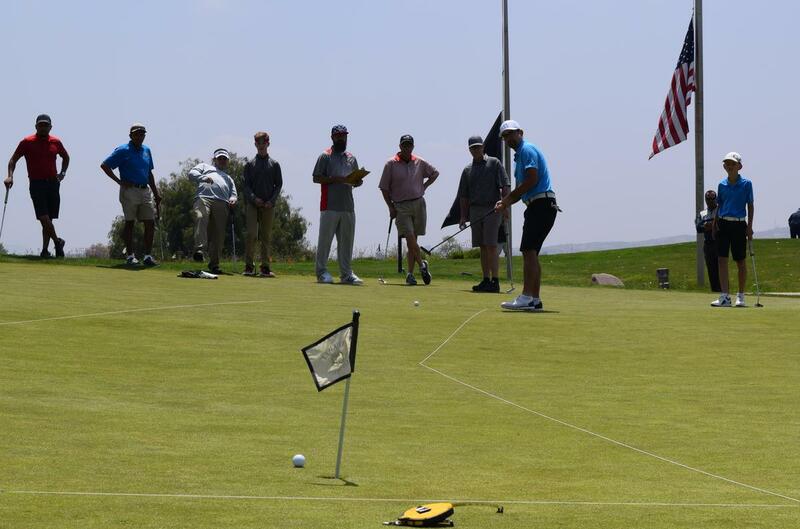 Donors and sponsors for this event are recognized in the form of great advertisement throughout the day, in the golf tournament program and event flyers and signs. 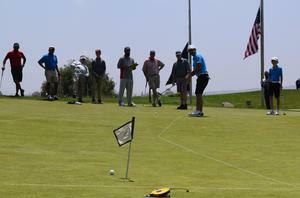 We are asking for your charitable donation to help make this year’s Golf Tournament as successful as possible. Our Levels of Sponsorship are available on this site. Our non-profit tax ID is #20-5069098. Please feel free to call Mike Farnam at 951-505-8626 / farnammicheal@gmail.com or Elizabeth Grenier 909-838-0457 elizabethm.grenier@gmail.com with any questions. Your support in this endeavor is greatly appreciated and helps us continue to offer quality Catholic education to our Redlands area families. 8:00 am - Shotgun Tournament Starts! 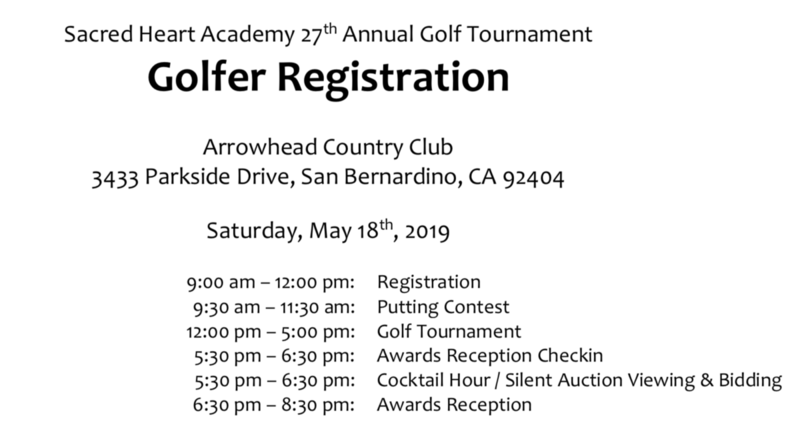 Registration Fee includes: 18 holes of golf, cart, green fees, range balls, boxed lunch on the course and banquet dinner at the clubhouse. See flyer & registration attached to the website.